In August of 1981, the Royal Canadian Mounted Police arrested a man they alleged to have abducted and killed at least 11 children both male and female. The lower mainland of British Columbia had been his hunting ground and the ferocity of his crimes would stun the public. Clifford Olsen was clearly a vicious psychopath who had tortured his young victims, in some cases driving nails into their bodies. He was and is for all tends and purposes a defect of nature who can never be rehabilitated, but that has not stopped him from utilizing the system for his own benefit. 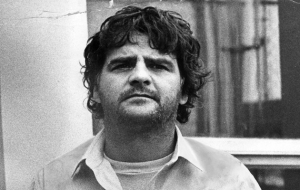 Though Olsen was caught, the police still had not recovered a number of bodies. As a result, a controversial secret deal was made to payout $100,000.00 dollars to his wife and child to locate the remaining missing children. This would be the beginning of long line of cruel antics inflicted upon the families of Olsen’s victims. When the agreement became public a year later the families were outraged and tried to block the cash-for-bodies deal, but their initial victory would be overturned. As time passed the public hoped that the self proclaimed Beast of British Columbia would fade away, but Olsen would have none of that. The family of 16 year Daryn Johnsrude received a letter from Olsen five years after his body was found. In the letter he (Olsen) described in detail the horror the young man endured at the hands of the killer. Like most psychopaths Olsen has reveled in his notoriety and used the system to poke his finger in the eye of the authorities. In 1997 he applied for the Faint Hope Clause. A parole provision introduced to give prisoners convicted of first and second degree murder the incentive to rehabilitate after serving a minimum 15 years. The clause was introduced in 1976 after the Canadian Government abolished the death penalty. From 1987 to 2006, 145 murderers applied under the clause, of that, 118 were given eligibility hearings and of the 118 a staggering 97 were released back into society. It should be noted that prisoners released under the clause are on parole for the remainder of their lives’. Olsen was unsuccessful in his bid for early parole, although even Olsen has admitted that he knows he will never be released back into society. He is simply doing it because it is his right to do so. This sparked public outrage and led to an amendment that excluded multiple murderers and serial killers from applying for the provision. The serving federal government has introduced a bill to repeal the clause altogether and it is making its way through the lethargic bureaucracy that is Canada’s parliament. After Twenty five years Olsen was allowed to apply for parole and this has once again forced the families to come forward to give victim impact statements at the hearing. On July 18, 2006 three families attended the hearing. Among them was Gary Rosenfeldt, the step-father of Daryn Johnsrude; Olsen’s third victim. As stated earlier in this article Rosenfeldt and family received a letter from Olsen. "It arrived five years to the day after we found our son's body and in the letter he described in detail exactly what he did to our son," Rosenfeldt said. Now, every two years a convicted killer who has served 25 years is allowed to apply for parole. Rosenfeldt has been lobbying on behalf of victims families and formed a group called Canadian Resource Centre for Victims of Crime. It is Rosenfeldt’s contention that the law is flawed in how it handles violent offenders. In the past two decades 58 murders have been committed by paroled murderers. Another controversy that has sparked public outrage was exposed by Toronto Sun columnist Peter Worthington. Over 65 years old, Clifford Olsen has been the recipient of a Canada Pension. In fact all prisoners over the age of 65 are eligible to receive the pension. This alone defies common sense given the prisoners are already being cared for by the state; receiving clothing, boarding, food, entertainment and a canteen allowance. The Federal Government has vowed to strip Olsen of CPP benefits and Olsen sent the check to Prime Minister Harper as a campaign contribution. For Olsen the recent controversy is just one in a line of many throughout his incarceration. For the victim’s families it is just one more sad chapter. Less than a week ago Olsen went to a parole hearing, and upon being turned down said that he would not re-apply, but the narcissist manipulator has zero credibility. For Gary Rosenfeldt it is likely that his family will have to return for a hearing every two years until Clifford Olsen is no longer living.